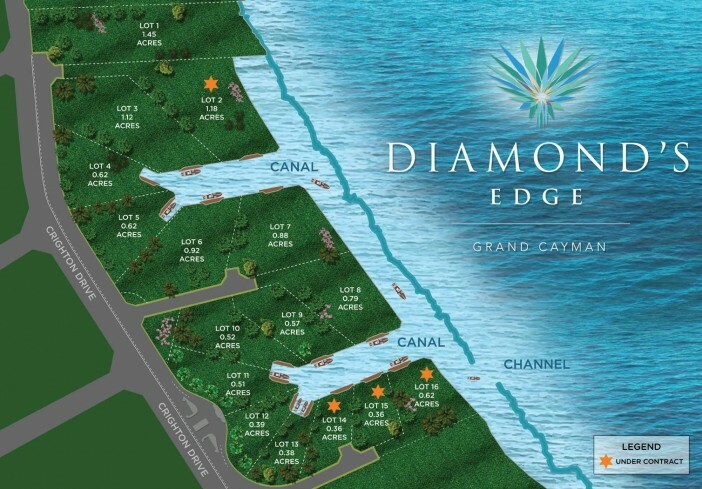 We are beyond delighted to represent Cayman’s newest and most exclusive Waterfront subdivision, Diamond’s Edge. Now emerging from the shores of Grand Cayman’s North Sound, this development is a true work of art. Impeccable attention to detail honours and appreciates the breathtaking views and billion dollar Seven Mile Beach corridor location. Residents are welcomed home at their distinguished guard house and ushered through crystal studded gates and water features to meander through lush landscaping and curbed and lighted streets guiding them to their waterfront residence. Unprecedented and unobstructed views of the North Sound have been afforded to each parcel together with custom Brazillian IPE docks, complete with full service water and electrical stations and LED lights. Each parcel’s building footprint has been filled to 8’ above sea level and ready to receive your dream home. 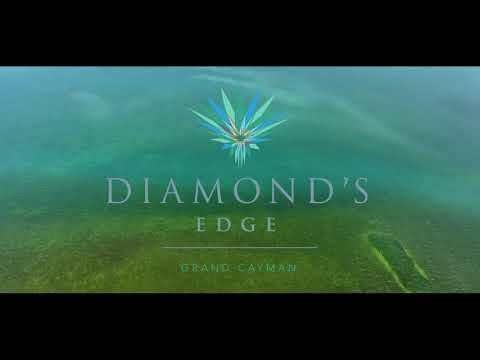 The exclusive branding that is Diamond’s Edge can be felt through-out the subdivision including it’s very own channel into the North Sound. Your investment is protected by strict, yet reasonable covenants affording each owner quality assurances within the privilege of individuality. Only a few lots remain.